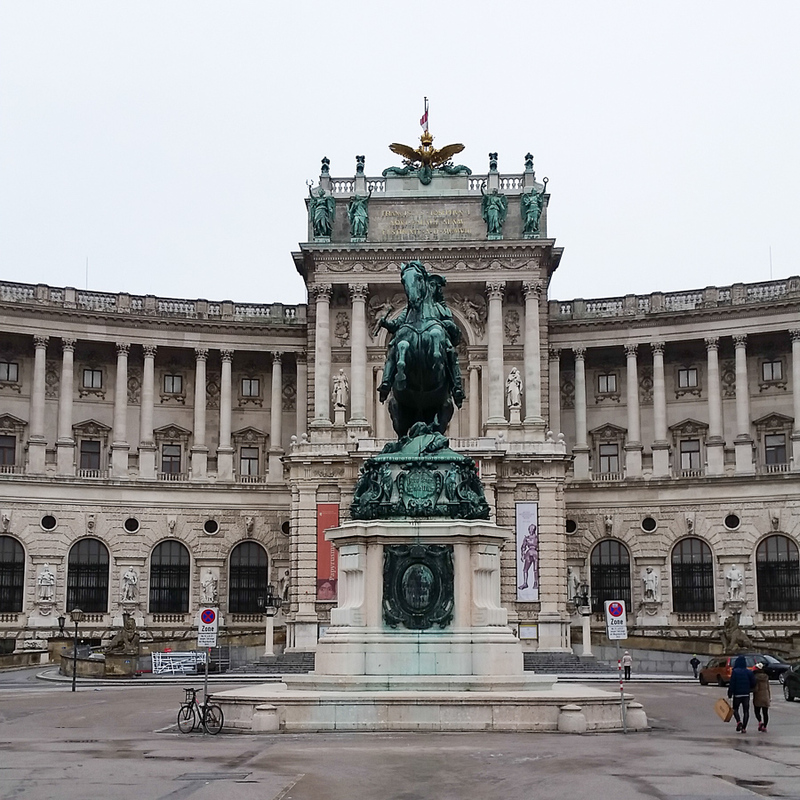 I decided to walk a bit of the Ring and take some photos of buildings on the Ringstrasse which was built in 1857 when Emperor Franz Joseph ordered the old city walls demolished that ringed the old city. 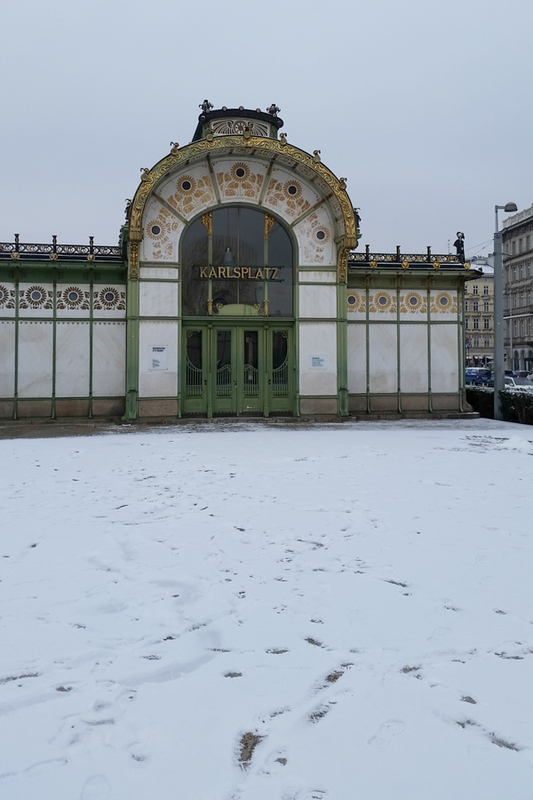 Karlsplatz. This Metro stop was designed early in the 20th century. It is Art Nouveau with marble facing and gold floral motifs. 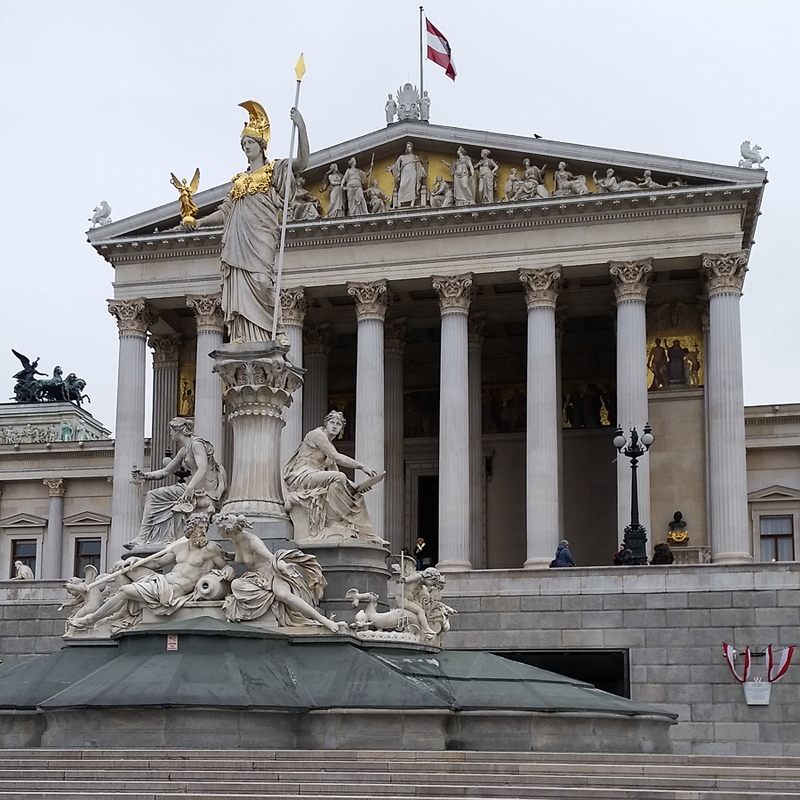 Rathaus. 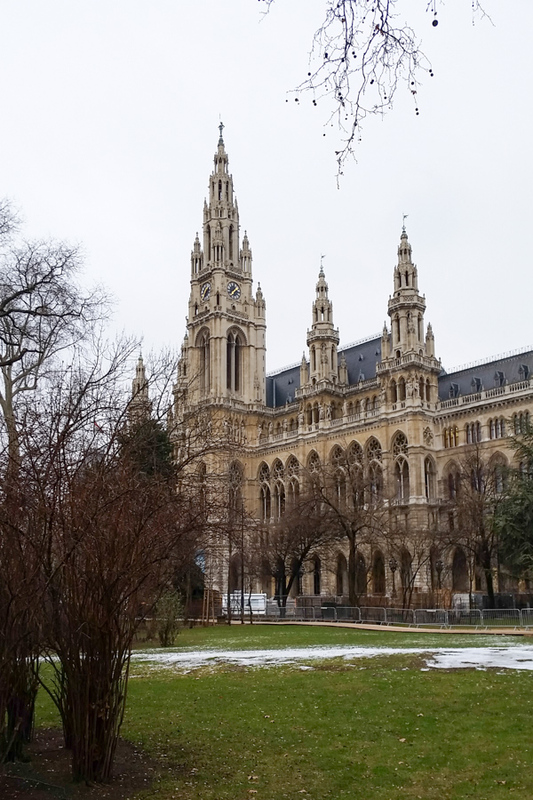 A monumental Neo-Gothic building on the Ring. Built in 1872. 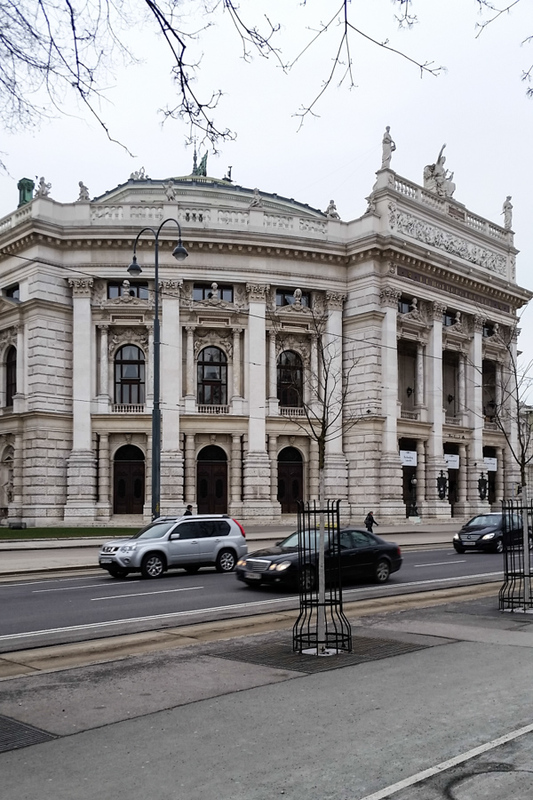 Burgtheater, on the Ring. 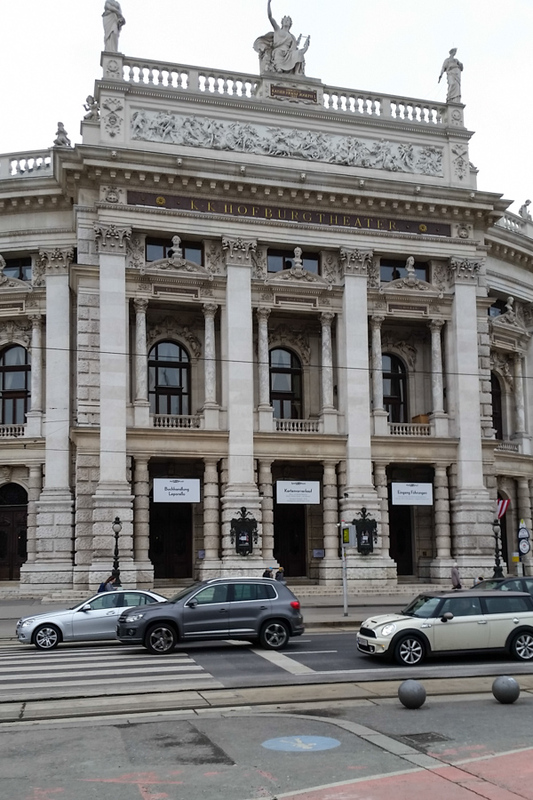 It was heavily bombed but the late 18th-century theater was restored. 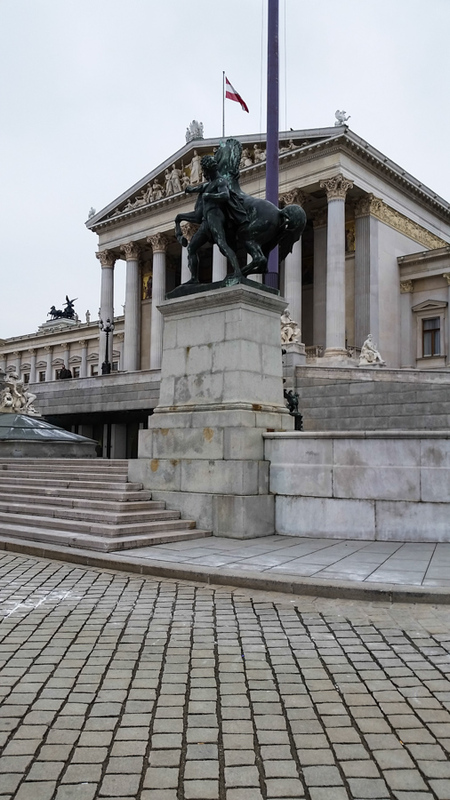 Parliament. On the Ring. it was built between 1874 and 1883. It is a profoundly classical structure. Notice Pallas Athena. On the ring. The architect took his inspiration from the Theseion in the Agora of Athens. Built between 1820 and 1825. 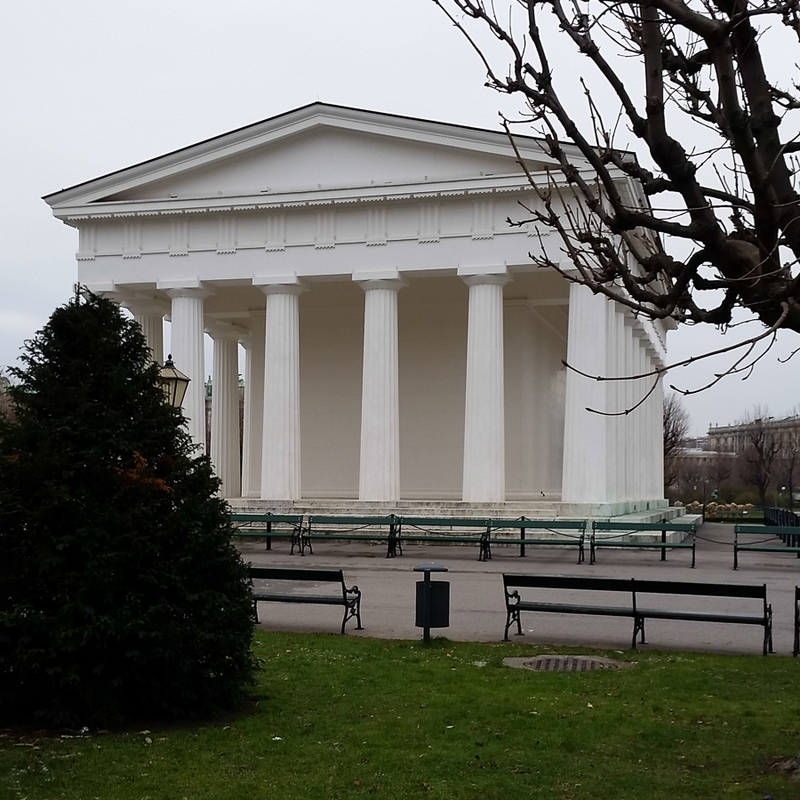 It is in the Volksgarten. Heldentenor or Äußere Burgtor. On the ring. 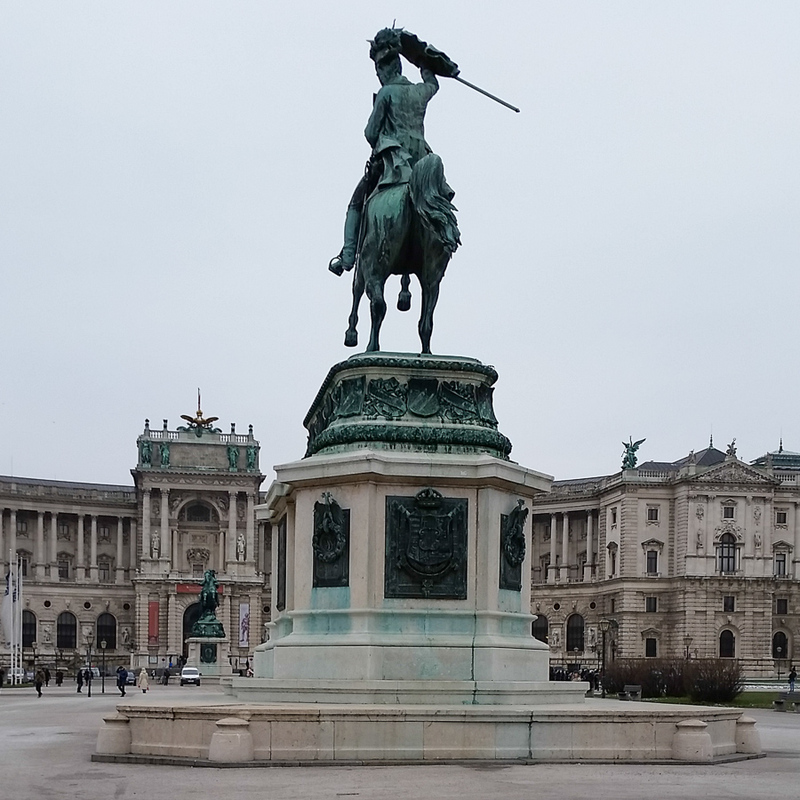 There are two statues: one of Eugene of Savoy who was victorious over the Turks, and Archduke Karl, Napoleon’s adversary. The papyrus museum. 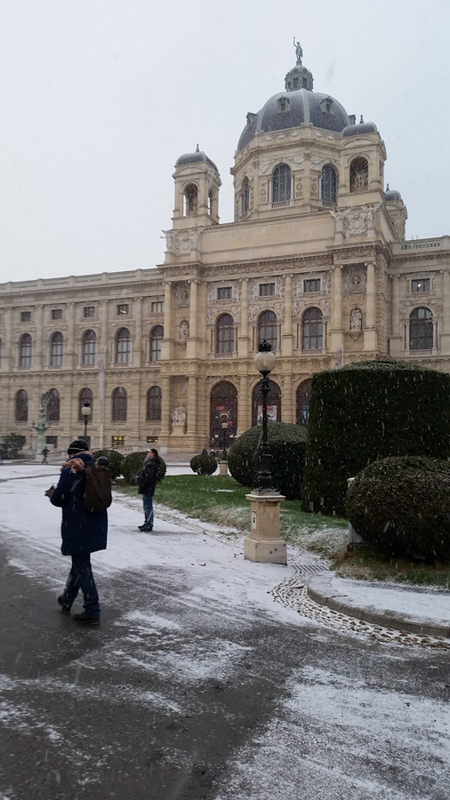 The museum is housed in the Neue Hofburg which is on Heldenplatz. I spent the whole afternoon. 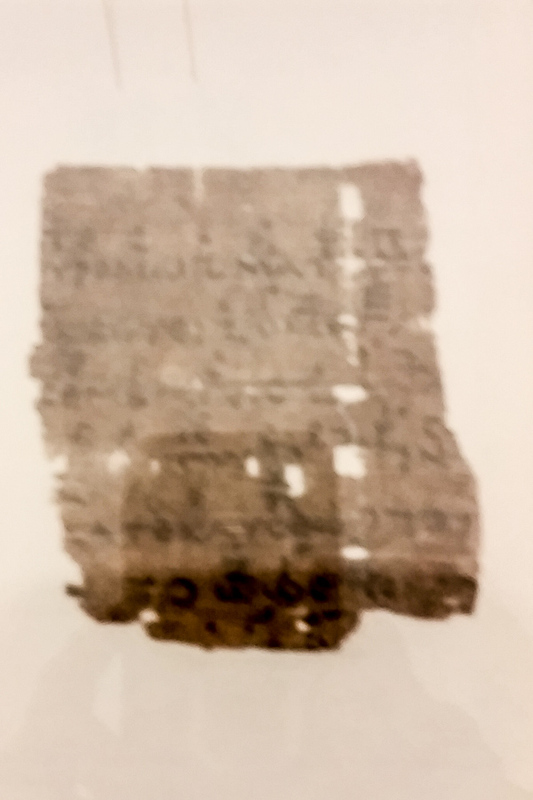 I was particularly struck by a papyrus that is a fragment from Orestes by Euripides and it has musical notation. 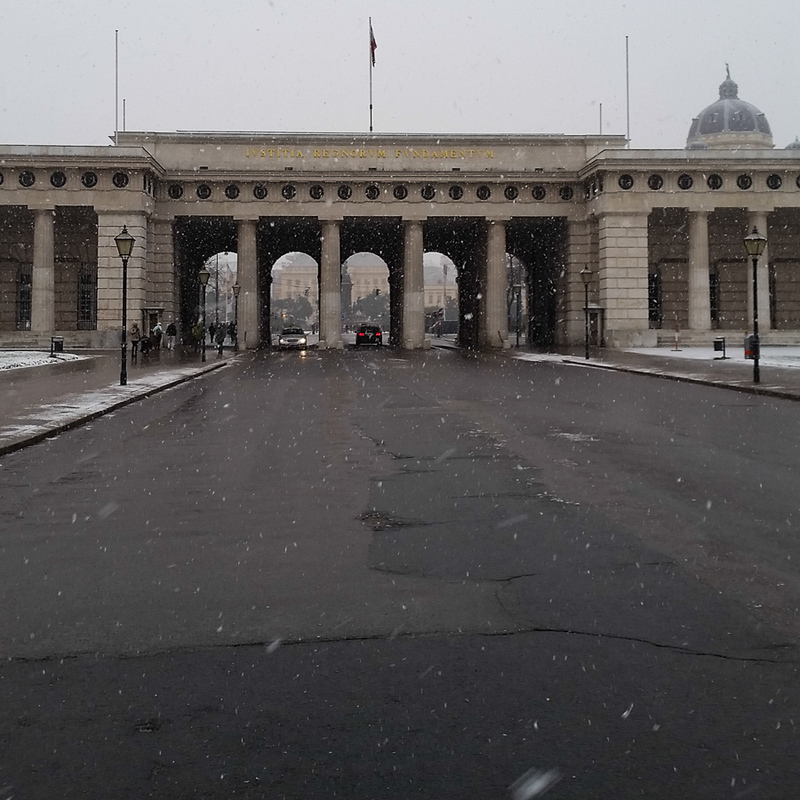 When I left the museum it was getting dark but there was falling snow so I decided to conclude the day with a walk in the snow and just enjoy the beautiful architecture of a city that truly imperial. Heldentor. 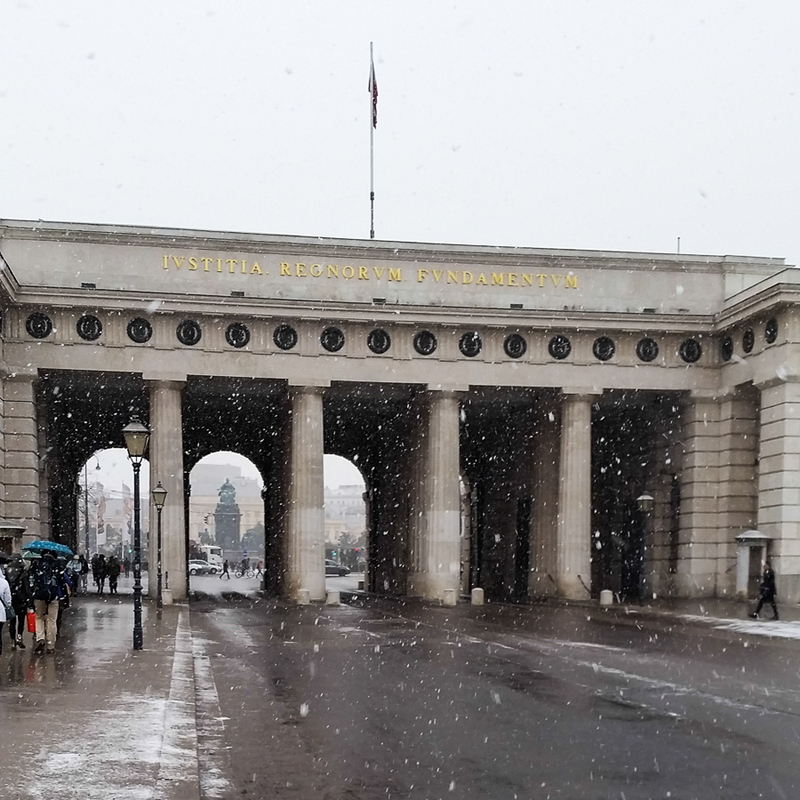 The gate closes the Heldenplatz towards the Ring. Built in 1821. 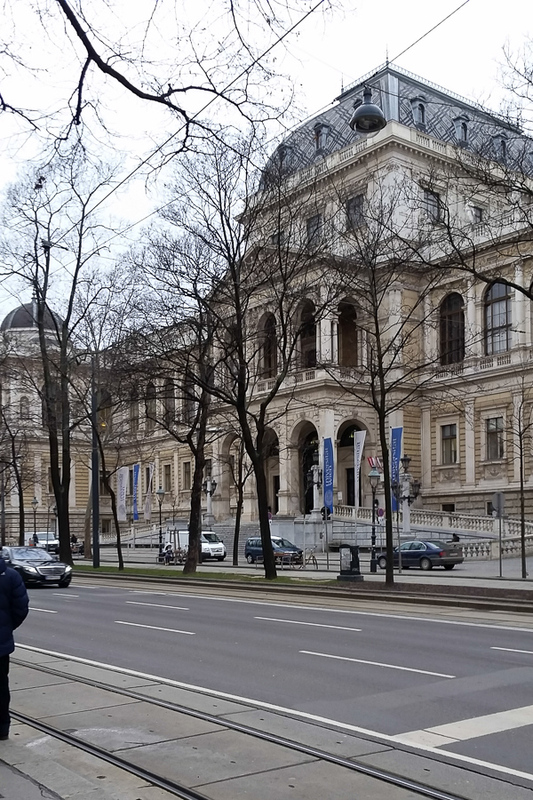 It was conceived as a grand entrance to the imperial palace. Translation of the inscription: “Justice is the foundation of rulers.” Or “Justice is the foundation of those to whom office has been entrusted.” Now that is very classical and Catholic. 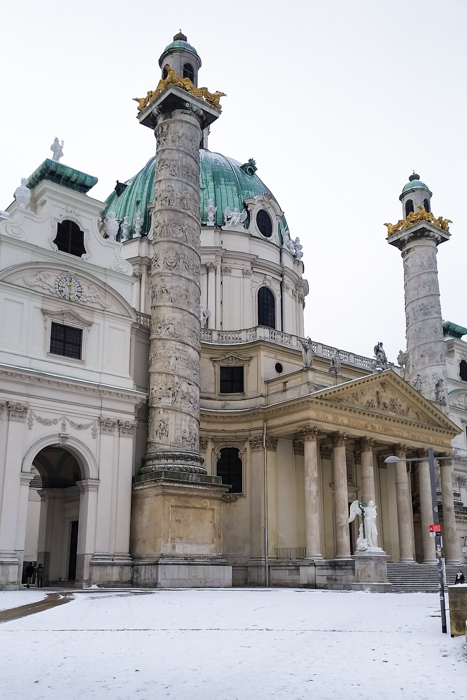 Maria Theresien Platz. On the ring. 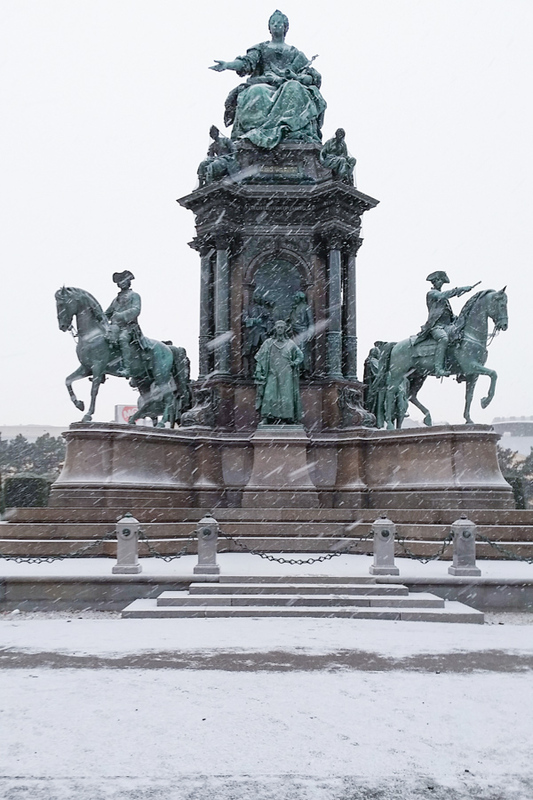 This monument was created around 1870 as part of the Ring development.The platz is framed by two museums. 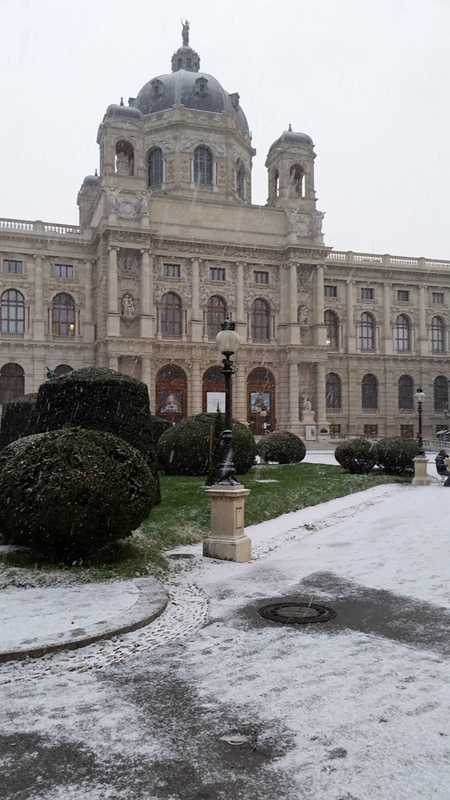 This entry was posted in Europe, History and tagged Austria, RingStrasse, Vienna on January 22, 2016 by frjfkauffmann.